If you’re always on the lookout for help picking your bets then you should check out The Winners Enclosure for the best horse racing tips. 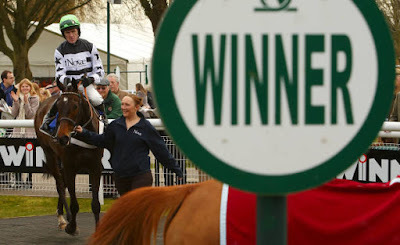 This site offers free tips as well as previews and reviews of some of the biggest events throughout the racing calendar. As well as keeping you up to date with all the latest racing news that may help to influence your bet-picking. Horse Racing is perhaps one of the most complex sports to bet on due to the wide variety of bets on offer. This can seem daunting at first but once you get to grips with the various terms and bets it’s relatively straightforward. One of the benefits of using racing tipster sites such as The Winners Enclosure is that they provide an extensive break-down of these terms and bets, as well as offering their own suggested bets for you to back on a daily basis. There’s plenty of bookies out there that give great racing offers and bonuses to punters. Most will now offer some sort of sign-up bonus, such as free bets or your first stake returned should it lose. It’s well worth shopping around to find the best odds, The Winners Enclosure have a section on their website dedicated to informing punters of exactly what is on offer from a variety of bookmakers.